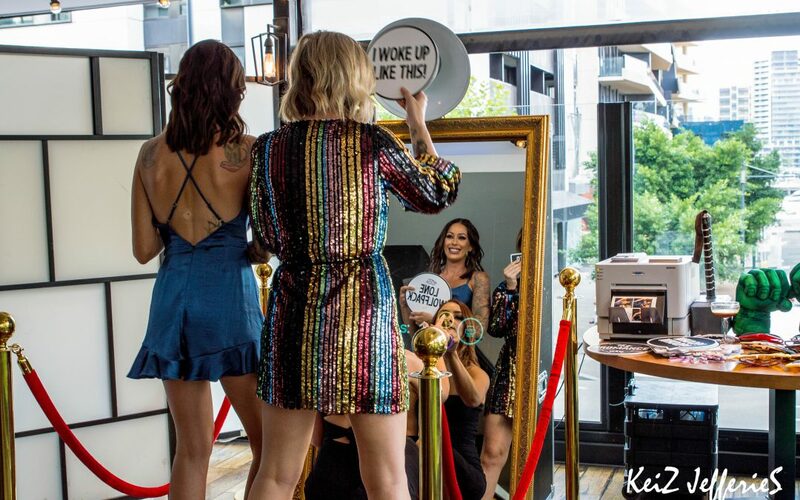 We love good entertainment and that’s why we decide to get a Mirror Photo Booth For Hire. We believe that at any wedding or event, entertainment is the most important part. Also, we believe that your entertainment should match the look and style of the wedding. With that said, we have design 4 frames that can suit any event. We also include options for a backdrop or gold bollards and red carpet or white picket fence with green grass carpet. The golden frame is by far our most popular frame. It goes well at weddings and at most corporate events and birthdays. We match the golden frame with our gold bollards on each side of the frame and attach red ropes. Our Mirror Booth gold frame setup also has red carpet. Have this at your event and your guests will feel like a celebrity! The rustic frame is our newest frame to add to our collection. Really popular at weddings and with the rustic theme becoming popular wedding trend again, this frame will be use a lot during 2019, 2020 and 2021. The frame itself is a wooden look with nice green flowers attach to the top left corner. To go with this frame we have a green grass carpet. Instead of the traditional gold bollards, we have a nice white picket fence to go with it. Works well with a rustic theme, rustic wedding cake and rustic decorations. We also add up a rustic backdrop to match this setup. Our shiny silver frame is perfect for any events. In fact, the silver frame is best used at winter weddings and events. Furthermore, the types of decorations that best suit our silver frame are silver chairs, silver table cloths, white fairy lights and candles. If you are planning a silver style wedding then silver shoes suit nicely with a white dress and if you like your nail polish then sparkly silver is perfect. Silver wedding and event cakes are often seen alongside our custom silver frame as well as silver seating charts. Our black frame is good for black themed weddings. They are not common but when you come across a black themed wedding it usually has white or gold or red thrown in. The black frame is not only used at weddings but is also great for Halloween themed events. The black frame comes with the gold bollards also and we can also provide a few Halloween decorations if needed. 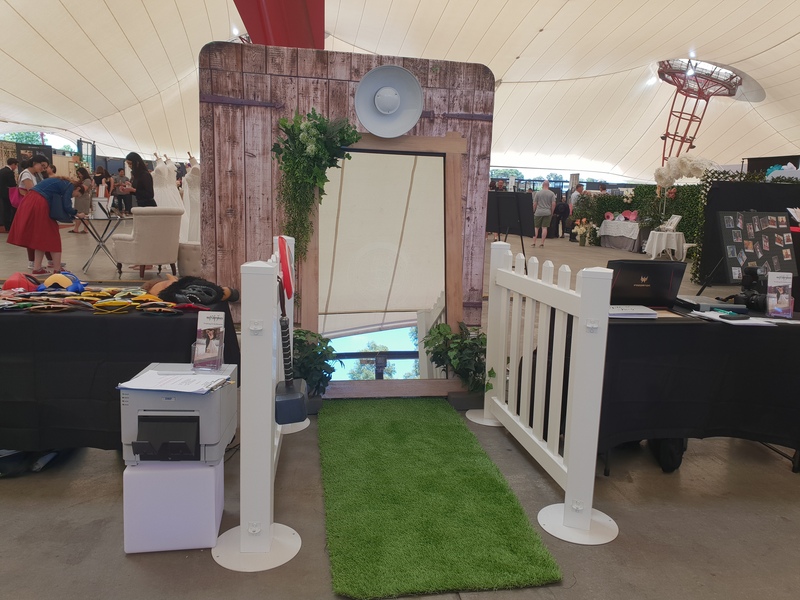 Keen on booking our Photo Booth For Hire for your upcoming event?